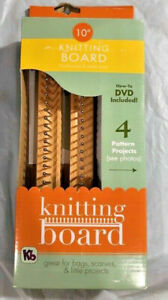 WONDER KNITTER by Clover - Rotary Disk Makes Knitting Easy & Fun! 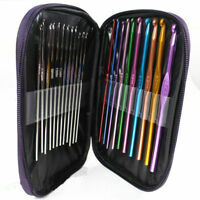 "Luxite Plastic Crochet Hook Set-Sizes F5 To K10.5, Set Of 6"
I love this loom specially because of the plastic pegs. This is so much easier to work with than the loom with the metal pegs. 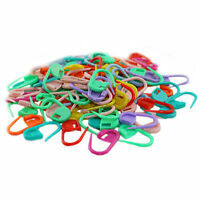 I ordered multiple different sizes of the loom with plastic pegs and I could not be happier.